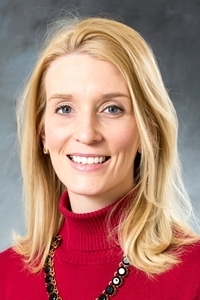 Kristin Rucks coordinates the Northwestern Network, which connects constituents with ways they can help the college, whether that is assisting with recruiting students, speaking in a class, arranging an internship or sharing an NWC Facebook post. A Northwestern College graduate, she spent three years as an admissions counselor for her alma mater before becoming director of admissions and marketing for Presbyterian Homes and Services in Arden Hills, Minnesota. She then served as the marketing director for Sodexo food services at St. Cloud State University in St. Cloud, Minnesota, and, most recently, as the community relations director for Heritage of Foley in Foley, Minnesota.